During the civil war in Lebanon, many Lebanese people fled to Europe abandoning their large apartments, their sumptuous villas and…the servents they had " imported " by the thousand from Sri-Lanka, from the Philippines and from Egypt. In our story, all these people – and many others beside- remain to suffer the mood-swings of a sniper who controls their buildng, dominating its inhabitants and the neighbourhood as a whole, as well as several of the city’s perilous checkpoints. Their stories weave in and out of the tale of the young Muslim militaman and A Christian maid, as well as the traumatic adventures of a rich lady who flies in for tryst with her locever – not to mention, the trials and tibulations of Beirut cats. What would I have done if I hadn’t lived through a war? I sometimes fantasize that I’d been born in Sweden and lived ordinary, everyday life. I’m sorry that we always speak of ourselves – of what has happened to us, of our psychology – in terms of “the cause.” You begin to envy filmmakers who take the time to explore their world, who aren’t like me, shattered by a fragmentation bomb. Oh, to be introspective and inward-looking, to be an individual rather than a group! 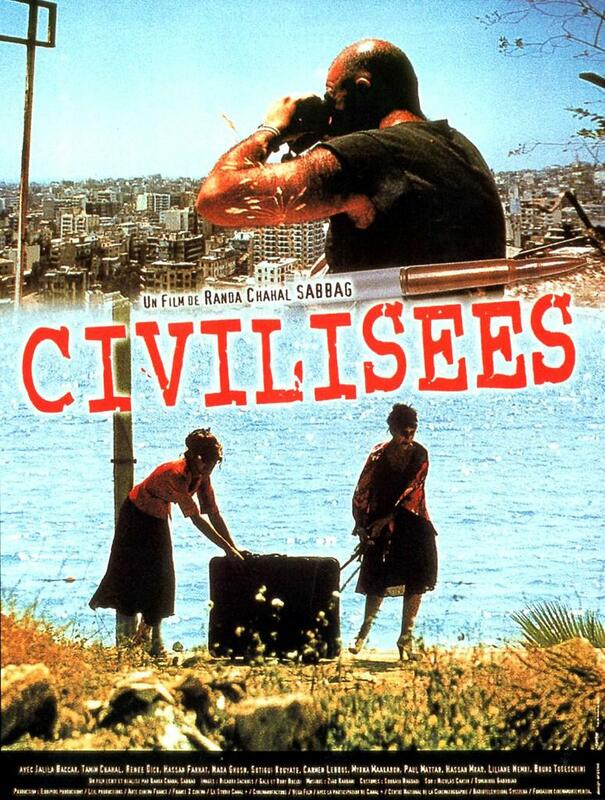 But I don’t think “Civilisées” has resolved all my problems concerning this war – I think I’m still up to my neck in it!